Bimota has wrongfooted the world with its new DB8 by revealing it’s a dual-seat, more powerful 1198-engined yet cheaper version of the DB7. 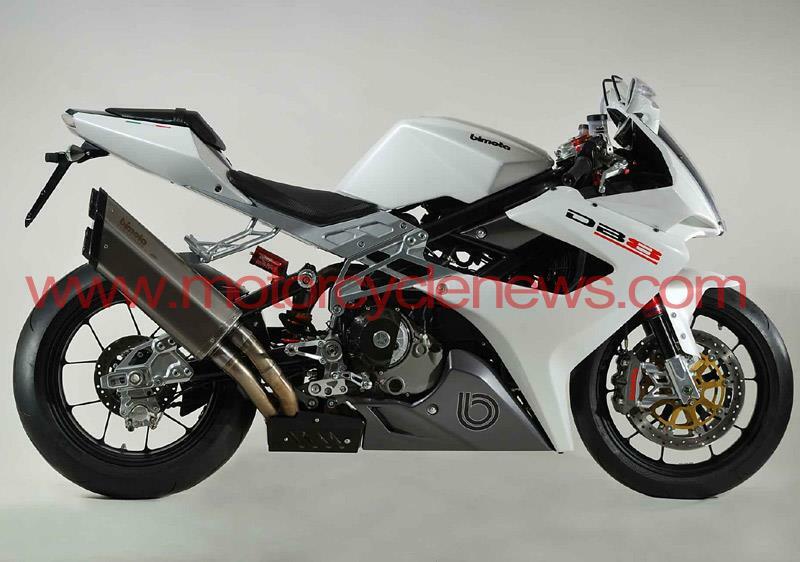 The DB8 had been strongly tipped to be a naked Bimota DB7 to rival the Ducati Streetfighter, but that bike appears to be still in the works. 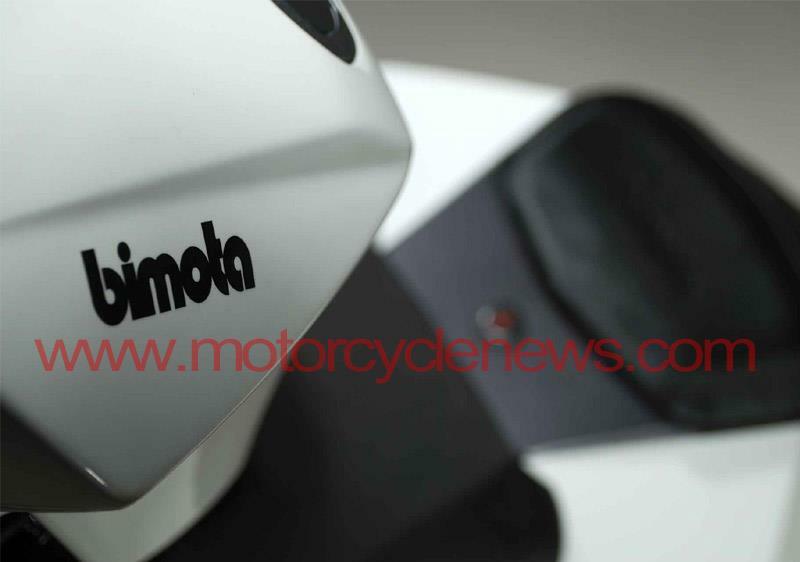 Bimota says it wants the £20,300 (€23,000) DB8 to be its ‘entry level’ superbike, and expects to sell 250 of the biposto machine – making it in Bimota terms a volume seller. The £23,000 (€26,000) DB7 remains in production, but with the 1098 motor, which as a single-seater is all the firm says it needs. The DB8 manages to undercut the Bimota DB7 by using plastic rather than carbon bodywork, steel rather than titanium exhaust and an aluminium rather than structural carbon subframe joining its oval section CroMo hybrid chassis. Slightly lower spec Marocchi and Extreme Tech suspension front and rear respectively complete the cost cuts. The DB8 has gained 8cm nose-to-tail (though wheelbase remains the same) and 8kg, taking its weight to 178kg, countered by the bigger 1198 motor’s extra 8bhp and 6ftlb over the DB7. The rear seat allows for a useful bit of underseat storage. “Bimota customers are used to being surprised with new and innvoative motorcyles offering unique design, good power and light weight – and many of them also have a wife or girlfriend that would like to come along. We are sure this design will be a big success” says the firm’s Anna Carla Cuneo.